Breakup of the Southern Hemisphere supercontinent Gondwana was largely completed at the beginning of the Paleogene (Smith et al. 1994). Africa separated from South America about 100 Ma, and Madagascar split from continental Africa in the middle to early-late Jurassic, about 155-160 Ma. Through the Lord Howe Rise, New Zealand was possibly connected to Australia until 75 Ma (Haddrath and Baker 2001). A land connection between South America and Antarctica may have persisted until the late Eocene, about 36 Ma, when the Drake Passage opened, and overland dispersal between Antarctica and Australia was possible at least until 64 Ma (Woodburne and Case 1996). Cracraft (1973b) was among the first to discuss the extant distribution of birds in the light of the Mesozoic and Paleogene geography of the land masses. In particular, he assumed that the early divergences of several extant clades with Southern Hemisphere representatives were due to the breakup of the southern continents in the late Cretaceous. Cracraft (2001) further expounded this hypothesis of a vicariant origin of extant avian higher-level taxa, concluding that "trans-Antarctic distribution patterns" of several neornithine taxa indicate their origin in the Cretaceous of Gondwana. Similar hypotheses were also set up by molecular systematists for the initial divergences within some neoavian taxa, for example, crown group Psittaciformes (Miyaki et al. 1998) and Passeriformes (Ericson et al. 2002, 2003). That such inferences based on the distribution of extant taxa can be profoundly misleading is, for example, shown by marsupial mammals, which are today restricted to Australia and the Americas, but originated in Asia (Rose 2006). Concerning birds, a comprehensible case for a diversification owing to the breakup of Gondwana can at best be made for the flightless ratites. If these constitute a monophyletic group, it is likely that their stem species was already flightless, so dispersal of the ancestors of the extant ratite lineages would have strongly depended on continental geography. The existence of supposed crown group representatives of ratites in the Paleocene of South America (Diogenornis) would further be in line with a diversification of crown group ratites in the late Cretaceous of the Southern Hemisphere. As mentioned in the introduction to Chap. 5, however, analyses of nuclear DNA by Hackett et al. (2008) and Harshman et al. (2008) strongly supported paraphyly of ratites with respect to the Tinamidae. In the phylogenies proposed by these authors, flightlessness would have occurred at least three times independently in the stem lineages of the Struthionidae, Rheidae, and Apterygidae/ Casuariidae. If the results of those analyses are confirmed by further studies, the stem species of the aforementioned ratite lineages would not have depended on land corridors for their dispersal (Harshman et al. 2008; see also Houde 1988; Briggs 2003). Australia would have then acted as a filter route, and was not available for phorusrhacid birds, for example. It is less straightforward to explain overland dispersal of a flightless stem species of the Aepyornithidae to Madagascar. Although there may have been a connection between Antarctica and Madagascar via the Kerguelen Plateau until 90 Ma (Masters et al. 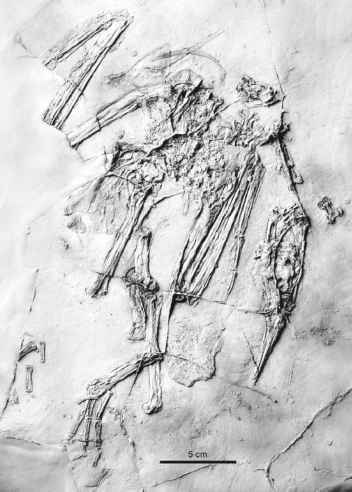 2006), this date just overlaps with an age determination for the divergence of ratites from their sister taxon based on molecular clocks, which was estimated at 92.2 ± 18.9 Ma by Haddrath and Baker (2001) (van Tuinen et al. 1998 assumed that the earliest divergence between crown group ratites did not occur before about 90 Ma). Ratites are known from the Paleocene of South America (Diogenornis) and Europe (Remiornis). The reconstruction of possible late Cretaceous/early Paleogene dispersal routes between these continents is another challenge in their historical biogeography, if ratites are monophyletic and descend from a flightless stem species. The existence of such dispersal routes is evidenced by the distribution of metatherian mammals, which also have a Paleocene fossil record in South America and the Northern Hemisphere (North America and Eurasia) (Rose 2006). As yet, however, there is no unambiguous evidence for a continuous land connection between South America and North America in the late Cretaceous or early Paleogene (Smith et al. 1994; Iturralde-Vinent and MacPhee 1999), and chance dispersal with flotsam via a proto-Antillean island chain is more easily envisioned for a small mammal than for a medium-sized ratite. Because no fossils of ratites were further found in Cenozoic deposits of North America, Peters and Storch (1993) suggested an alternative late Cretaceous dispersal route between South America and Europe via Africa. The distributions of extant Megapodiidae (mainly Australian continental plate) and Cracidae (South America) have also been taken as evidence for a vicariant diversification of crown group Galliformes owing to the breakup of Gondwana in the late Cretaceous (Cracraft 1973b, 2001). This hypothesis conflicts, however, with the absence of crown group Galliformes in pre-Oligocene fossil deposits (Mayr and Weidig 2004). The earliest stem group representatives of the Galliformes were further reported from the Northern Hemisphere and are successively more closely related to crown group Galliformes. Moreover, the earliest galliform birds from South America also belong to the stem group (Sect. 6.1.4). The fossil record thus rather suggests a Northern Hemisphere origin of crown group Galliformes, whose stem species may have lived in the late Eocene/early Oligocene of Asia. From there, the Phasianidae dispersed into Europe after closure of the Turgai Strait in the early Oligocene, and a species in the stem lineage of the Megapodiidae could have reached Australia after northward drift brought this continent close to Asia in the Oligocene. The stem species of the Cracidae most likely dispersed into South America via North America, which was connected with Asia through Beringia during most of the Paleogene. Cracraft (2001), constitute a polyphyletic assemblage (Chap. 3). Without knowledge of the exact interrelationships between these birds, a plausible reconstruction of biogeographic scenarios is not possible. Likewise the "Caprimulgiformes," another taxon listed by Cracraft (2001), are not monophyletic, and, except for the Aegothelidae, all extant representatives with a Southern Hemisphere distribution (Steatornithidae, Podargidae, and Nyctibiidae) have stem group representatives in the Northern Hemisphere. Although the Passeriformes probably originated in the Southern Hemisphere, an early diversification of the crown group due to the breakup of Gondwana is also not well supported (contra Cracraft 2001; Ericson et al. 2002, 2003). There is strong evidence for an origin of Oscines on the Australian continental plate (Barker et al. 2002; Ericson et al. 2002, 2003), but the area of origin of the Suboscines is less certain, and the distribution of the Acanthisittidae is restricted to New Zealand. Present data are in agreement with a Paleogene origin of crown group Passeriformes on the Australian continental plate. The Suboscines may have dispersed into South America via Antarctica only before the onset of glaciation of this continent, and the fossil record (Sect. 16.4.2) rather indicates dispersal over the Northern Hemisphere and a late, i.e., Neogene, arrival in South America and Africa. Not many of the characteristic groups which occur in the early Paleogene of the Northern Hemisphere have been recorded from the Southern Hemisphere. With a few exceptions, such as the anseriform Presbyornithidae, the known Paleogene nonmarine avifauna of South America is clearly distinguished from that of other continents (see Tables A.1-A.6 in the Appendix). Taxa such as the Lithornithidae, Sandcoleidae, and Halcyornithidae have an abundant fossil record in the Eocene of Europe and North America, but have not yet been identified in Southern Hemisphere deposits. Campbell and Tonni (1981) noted that Cenozoic avifaunas of South America are characterized by the dominance of large carnivorous birds, most notably phorusrhacids and teratorns, which may be correlated with a low diversity of large mammalian carnivores (van Valkenburgh 1999). It is, however, remarkable, that no representatives of the Strigiformes have as yet been reported from the Paleogene of South America, whereas owls are among the more abundant avian taxa in the Paleogene of the Northern Hemisphere. The late Eocene/early Oligocene avifauna of the Fayum in Egypt includes several higher-level taxa, which today still occur on this continent (see the Appendix). If the identifications of the often fragmentary remains from this locality are confirmed by future findings, some taxa are shared with contemporaneous avifaunas of Europe (e.g., Palaelodidae, Pandionidae). Others are, however, as yet unknown from the early Oligocene of Europe (e.g., Ciconiidae, Ardeidae), or seem to represent African endemics (Eremopezidae, Xenerodiopidae). Virtually nothing can be said about the Paleogene avifauna of Africa south of the Sahara, and likewise our knowledge of the early Paleogene avifauna of Australia is far too incomplete for generalized conclusions.